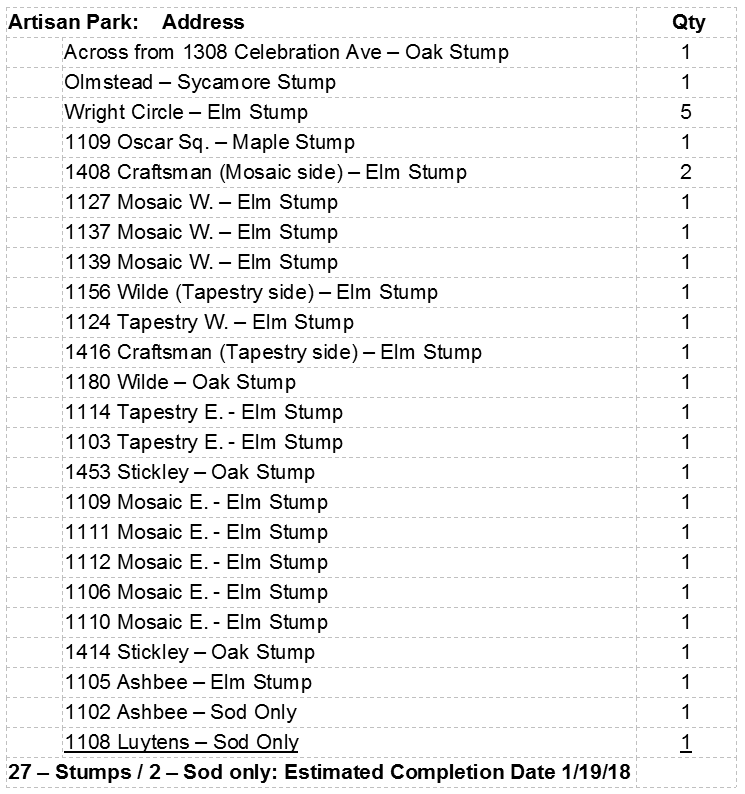 Below is an estimated timeframe for removal of stumps and sodding holes throughout the community. Work will begin in South Village, then move to Artisan Park, East Village, Roseville, Aquila Reserve, West Village, Celebration Village, North Village, and Spring Lake. 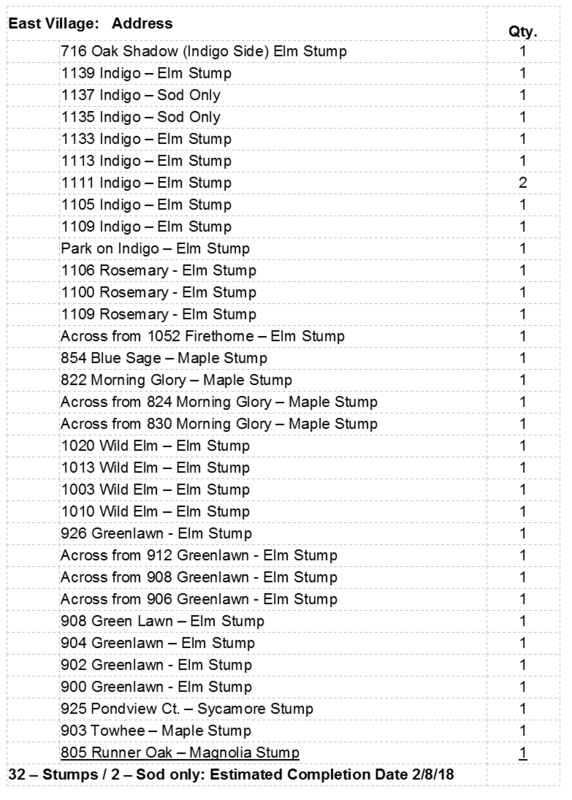 Estimated completion dates are noted below the list of tree stumps and sod areas for each village.